After judgment the parties are referred to as judgment creditor and judgment debtor. Usually the judgment creditor is the original claimant. Enforcement of a judgment is not automatic. A judgment debt has to be paid within a month of the date of judgment unless the court has made a specific Order that it should be paid by instalments. Enforcement is used where the judgment debtor has failed to pay the judgment debt or failed to pay any instalment due under it. The judgment creditor chooses which method or methods are most appropriate to their particular circumstances. Enforcement applies equally to Judgments and those Court Orders that are able to be enforced. Successful enforcement requires us to focus on the circumstances of the Judgment Debtor and where they have something of value. This could be money in a bank or savings account, stocks and shares, future earnings, goods including cars that may be sold, buildings or land. If nothing is known about the financial situation of the Judgment Debtor, whether it is an individual, a firm, a company or a corporation then an Order to Obtain Information is the best place to start. Most Judgment Creditors would prefer to recover the debt in full at the soonest opportunity. This is possible if there are assets to be seized by a County Court Enforcement Agent or High Court Enforcement Officer e.g. a car that is not on Hire Purchase, home belongings of a material value up to 4 times the amount owed, or there is likely to be money in an account, or salary due that covers the debt when a Third Party Debtor Order could be used to freeze a savings or current account. In many cases this is not possible. So a Judgment Creditor should consider whether to use one of the above methods of enforcement to recover part of the debt and then consider an Attachment of Earnings if the Judgment Debtor is employed to be repaid over a period or a Charging Order can be applied for to secure the debt on their home for repayment later. Only where the sum owed is above £10,000 can an Order for Sale be obtained following a Charging Order and if dependents are living in the property the Judge may not allow the order. As with an individual a self-employed person can be pursued by an Enforcement Agent from the County Court or High Court. However, employment related tools and equipment to the value of £1200 are protected, above this figure they can be seized along with personal belongings but vehicles are often leased rather than owned. A Third Party Debtor Order to freeze the Judgment Debtor's account, if the name of the bank is known or can be found, is commonly used to recover some of the money or all of the money. A Charging Order against a property owned by the Judgment Debtor can secure a debt and if the sum owed is more than £10,000 a court order could be requested to force a sale. The option of an Attachment to Earnings is not suitable as the Judgment Debtor does not pay PAYE or have an employer to collect the money on behalf of the Court. The most common methods used are a Writ of Control to take control of assets of the company, or a Third Party Debtor Order to freeze the bank account if the name of the bank the Judgment Debtor uses is known or can be found. An Order to Obtain Information requesting a Director to attend court to account for the financial situation of the company can assit with a Third Party Debt Order. Where there is a risk of the Limited Company being wound-up then the Judgment Creditor should monitor Companies House for a status change of the company from "Active". As soon as the status of the company changes Companies House should be informed and a stay put on any request for the winding-up/liquidation of the company to enable enforcement. Enforcement action can be instructed for up to 6 years from the date a judgment became enforceable. You are able to continue trying to enforce for longer than the 6 years from date of judgment but you cannot start the first enforcement action past this date. 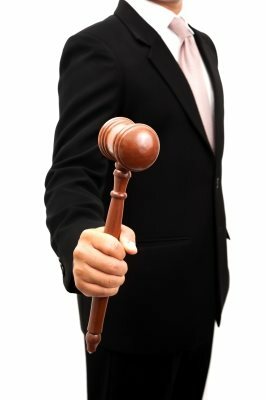 Court permission is required to enforce a judgment debt that is more than 6 years old. Warrants of Control from the County Court and Writs of Control from the High Court must be renewed after 12 months if they have not been enforced. A judgment creditor can use any number of methods of enforcement at the same time. What happen if the judgment debtor becomes insolvent during the enforcement proceedings? Under these circumstances the enforcement proceedings will not be allowed to continue. The insolvency process means that some debtors take priority over others and a judgment creditor does not have any right to preferential treatment. The judgment debt will be taken into account with any other debts due to other creditors. The judgment creditor may get nothing because there is not enough money available to the insolvency administrator. Can I apply to make an individual Bankrupt / Wind-up a company? Providing the judgment debtor owes more than £5000 a judgment creditor can apply for an individual to be made bankrupt or for a company to be wound up. To do this the judgment creditor must serve a Statutory Demand on the judgment debtor. A Bankruptcy Petition is presented by the judgment creditor where he is owed or can show he will be owed more than £5000 and the Judgment debtor is either unable to pay the debt now or has no reasonable prospect of being able to pay it in the foreseeable future. The failure to comply with the Statutory Demand is treated as proof that these conditions are fulfilled. Presenting a Bankruptcy Petition against a judgment debtor requires careful consideration. All fees for the presentation of the Petition are paid by the Petitioner who has no automatic entitlement to recover that money or any money due under the judgment debt. There are occasions when the Judgment Debtor may try and avoid service and in those cases the Judgment Creditor may ask the court to approve an alternative method of service, for example Facebook account or email. The court will affix a return date on which the Petition will be heard. There is no legal requirement for a Statutory Demand to be served personally on the judgment debtor but it is best to do so and to obtain an Affidavit of Service as proof that the Statutory Demand was properly served. A professional process server is usually instructed to perform service. The judgment debtor is entitled to oppose the Petition and all other creditors of the judgment debtor must be given notice of the Petition and are entitled to attend the hearing and make representations to the court. The court cannot make the judgment debtor bankrupt if it is satisfied either that the debtor is able to pay all his debts (taking account of all of his assets and liabilities), or that the judgment creditor has’ unreasonably’ refused an offer from the judgment debtor. If the Petition succeeds and the Judgment Debtor is made bankrupt, then responsibility for the administration of the bankrupt's estate is passed to the Official Receiver. A judgment creditor who has petitioned in bankruptcy is in no better position to recover his money than any other unsecured creditor. Preferential debts are paid first and all other unsecured creditors rank equally. There is no priority for a petitioning creditor even one who has an enforceable Judgment. The exception is secured creditors. Anyone with a charge over the bankrupt's property will still take the benefit of their security provided there is sufficient equity in the secured property to satisfy the secured debt, hence the value of securing a Charging Order. Recovery is normally determined by reference to pennies in the pound. If the judgment debt is £5,000 and the Judgment Debtor only has £1,000, each judgment creditor will receive a penny for each pound they are owed. A judgment creditor may receive little or no money but will have paid out a large amount of money in order to obtain the Bankruptcy Order. However, a Statutory Demand can be issued as a lever even where the judgment creditor has no intention of following that up with a Petition in Bankruptcy. Depending on the circumstances of the judgment debtor, the service of a Statutory Demand may be enough to encourage payment. What is an Administration order (AO)? An AO enables a judgment debtor to combine a judgment debt and at least one other debt (with total indebtedness not exceeding £5,000) into a single order for the making of regular payments to the court to be distributed to creditors, including the judgment creditor in the appropriate proportions listed by the debtor. This is a demand for the repayment of money that is set out in a particular form and which requires the payment of the debt within 21 days. If the debt is not paid or arrangements for payment have not been agreed with the judgment creditor by this time, the judgment creditor can petition the court for Bankruptcy or a Winding-up Order. Enforcing in Scotland a money judgment of a court in England or Wales? You need to obtain a sealed Form 111 Certificate of Money Provisions. For a County Court judgment this application is made to a district judge. Complete form N244 applying for a "Certificate of Money provisions contained in a Judgment" advising the court that the judgment debt remains unpaid and that the judgment debtor has moved to [quote new address], completing box 10 according to the evidence you have that the judgment debtor is now living in Scotland. date on which the time for appealing expired or will expire; whether an appeal notice has been filed; status of any application for permission to appeal; and whether an appeal is pending. state that the judgment remains unsatisfied and you are applying for the issue (by virtue of the relevant provisions of the 1982 Act and CPR 74.17) of a certificate of judgment to register for enforcement in Scotland. Send with the appropriate fee, to the court where judgment was obtained. The district judge will sign and date the "Certificate of Money Provisions contained in a Judgment" and apply the court's official stamp or seal. The court office will then send the signed document to you. On receipt of the signed document from the court, you should check that the "Certificate of Money Provisions contained in a Judgment" has been signed and had the court's official stamp or seal impressed on it. Register the "Certificate of Money Provisions" in the "Register of Judgments in the Books of Council and Session" within 6 months of the date of issue of the certificate. To do this send a covering letter and a fee to The Keeper, Registers of Scotland, Books of Council and Session, Meadowbank House, 153 London Road, Edinburgh EH8 7AU. The current fee can be found at https://www.ros.gov.uk/services/fees or by phoning their Customer Service Centre on 0800 169 9391, or e-mailing customer.services@ros.gov.uk. No other documents need be sent. The Keeper of the Registers will send you an extract of the registered certificate and a warrant for execution (the authority to enforce the judgment). Enforcing in Northern Ireland a money judgment of a court in England or Wales? Complete form N244 applying for a "Certificate of Money provisions contained in a Judgment" advising the court that the judgment debt remains unpaid and that the judgment debtor has moved to [quote new address], completing box 10 according to the evidence you have that the judgment debtor is now living in Northern Ireland. state that the judgment remains unsatisfied and you are applying for the issue (by virtue of the relevant provisions of the 1982 Act and CPR 74.17) of a certificate of judgment to register for enforcement in Northern Ireland. When you have obtained the sealed certificate, photocopy it and certify on the reverse that it is a true copy of the original and forward both with a covering letter to The Royal Courts of Justice, Chichester Street, Belfast, BT1 3JF, Telephone 030 0200 7812 within 6 months of the date of issue of the certificate. The copy certificate will then be returned to you once the judgment has been registered. You can then ask the Enforcement of Judgments Office to enforce your judgment. You should instruct the Enforcement of Judgments Office to attempt to recover the debt in writing at Enforcement of Judgments Office (EOJ), Laganside House, 23-27 Oxford Street, Belfast, BT1 3LA, Telephone: 0300 200 7812. EX322 leaflet - Warrant of execution - How do I ask for a warrant of execution? EX323 leaflet - Attachment of earnings - How do I ask for an attachment of earnings order? EX325 leaflet - Third party debt orders and charging orders – How do I apply for an order? – How do I respond to an order?